Santa Fe Writer's Project, 9780988225275, 110pp. The 14 stories in this collection display the often quiet, inconspicuous way in which terrible truths and experiences are intimated: the death of a sailboarder makes a widower see deeper into love and loss; a young poet visits his former teacher only to discover he is literally not the person he used to be; a middle-aged man glimpses the terrible humdrum of his third marriage as his son embarks on a new chapter in his life. Conveyed without grandeur or pathos, the revelations in these minimalist stories demonstrate clearly and effectively Fruelund’s gift of subtlety and nuance; like scenes from life, characters’ dramas are played out in brief but brilliant flashes. Ranging across the wide arc of human experience, from the comic to the tragic, each piece explores the complex emotions of the human heart. Simon Fruelund is the author of five books in his native Danish, including Panamericana. His work has been translated into English, Italian, and Swedish, and his short stories have appeared in a number of U.S. magazines. K. E. Semmel is a writer and translator whose work has appeared in Aufgabe, the Bitter Oleander, the Brooklyn Review, Hayden's Ferry Review, Ontario Review, Redivider, the Washington Post, World Literature Today, and elsewhere. 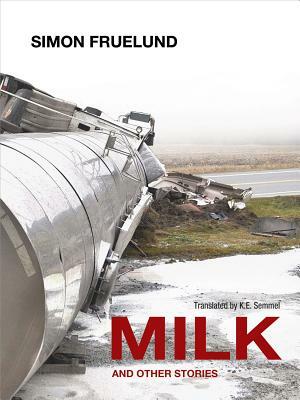 His translations include Karin Fossum's The Caller and Jussi Adler Olsen's The Absent One. He has received translation grants from the Danish Arts Council. He lives in Bethesda, Maryland.